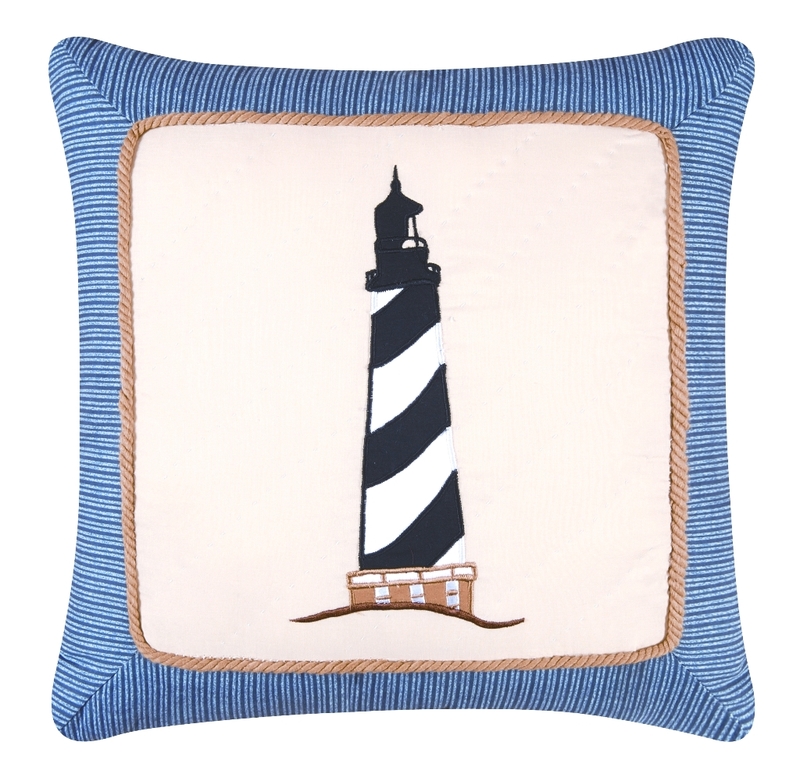 A beacon to any decor, this patchwork Lighthouse features embroidered stitching and sits regally on a cream background. 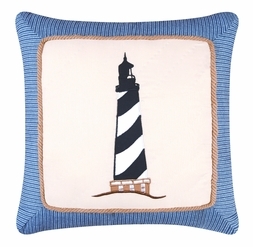 The finishing touch is a corded "rope" trim and a navy stripe border. Reverses to a solid navy. Great pillow for a bed, sofa, or your favorite easy chair.